Today three Lucene committers, two Mahout committers (one of them also being committer of Lucene: Hi Karl, was great having you here - see you at the next Hadoop Get Together, or maybe some day for lunch. ), several users of Lucene and Hadoop together with their family (including a very cute, unbelievably quiet three weeks old baby) met at Jamerica - a restaurant offering American as well as Jamaican food in Schöneberg. Daniel promised to organise the next dinner - looks like in October we meet somewhere close to his place in Potsdam. If you are one of the attendees please do feel invited to organise one of these evenings. It's really simple: Setup a doodle with some proposed dates, send a mail to our Apache Dinner Berlin mailing list with the link included. After that we simply vote on the dates, the date with most votes wins. It's then up to you to book a table in your favourite restaurant, send the address and time to the mailing list and that's about it. Don't be shy standing up - this meeting really is intended to be community driven, getting Apache people, friends, relatives at one table. Please also invite any friends that you know are in town - there is not problem adjusting the schedule to visitors. 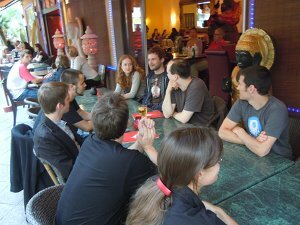 For those of you who are currently not in Berlin: There will be a Apache Dinner Paris very soon. Would be great if you could let people know if you want to attend - makes booking a table way easier. 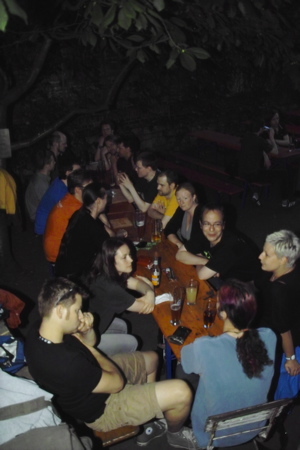 There were people from Lucene, from SVN, Cocoon, CouchDB, HttpComponents and various other projects. Even one potential future Mahout committer :) Counting attendees quickly I guess we were about fifteen people. Looking forward to the next meetup that will be scheduled to take place shortely after Buzzwords. 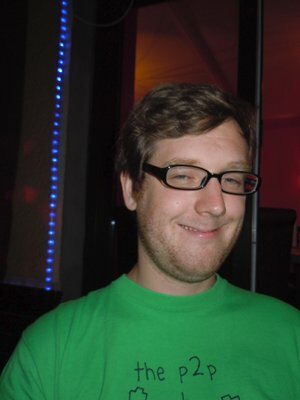 Please talk to Torsten Curdt if you want to get notified or simply subscribe to our mailing list. 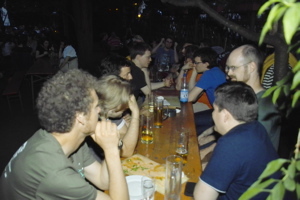 Today, the April Apache Dinner took place in Berlin. 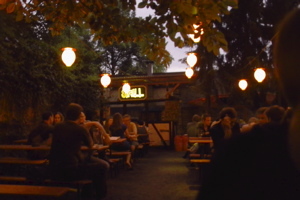 We met at Sadhu - an Indian restaurant in Berlin X-Berg. 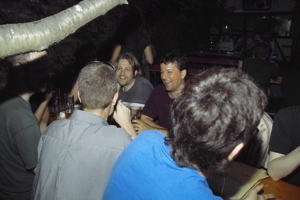 We were six people: Lars Trieloff from Day Software, Simon Willnauer and Vera from Lucene, Torsten Curdt - currently Freelancer and Daniel Naber from Lucene as well. 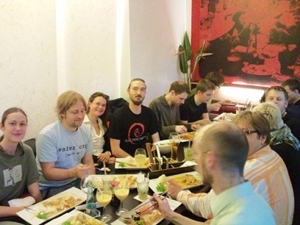 If you are Apache Committer/Member yourself or are simply interested in learning more about this crazy bunch of software developers meeting each month in a different restaurant, please contact Torsten for more information on the meetup - and to be included on the next meetup schedule. As we are by far more than ten people interested in delicious food and meeting other "indians in Berlin", I created a Dinner mailing list - please join, if you plan to take part in the dinner in the near future.